Fiat is reviving the Tipo name for its new family hatchback which will replace the ageing Bravo next year. The new model will go on sale in the UK in September 2016 and is expected to cost from around £15,000. While these pictures show a saloon, only a hatch will be sold in the UK. It will come with familiar Fiat engines including 1.3-litre and 1.6 MultiJet II diesels, the latter available with 120PS. There will also be 1.3-litre and 1.6-litre petrols. The Tipo name hasn't been seen in the UK since 1995 but Fiat is hoping its return will see a revival for the brand when it comes to family hatchbacks. The Bravo went largely under the radar as it was eclipsed by the competition in terms of quality and value. We can expect good levels of equipment with Fiat's Uconnect touchscreen infotainment system as standard with options including a reversing camera and integrated TomTom navigation. 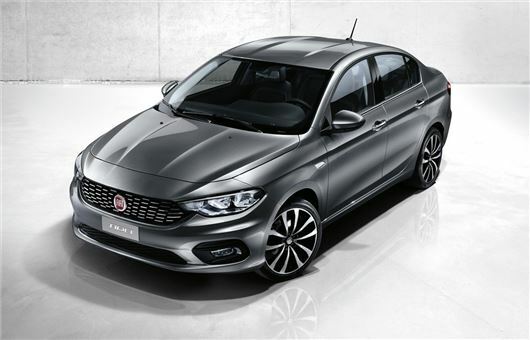 Fiat says the Tipo will major on value for money and practicality, with a straightforward model range and pricing. This is a nice looking car and becoming a familiar site on Spanish roads, I do hope the build quality has been improved, I used, as a car transporter driver, collect Fiats from the docks and the build quality with poorly fitted trim etc. was terrible. Nice looking car the saloon but not for everybody.